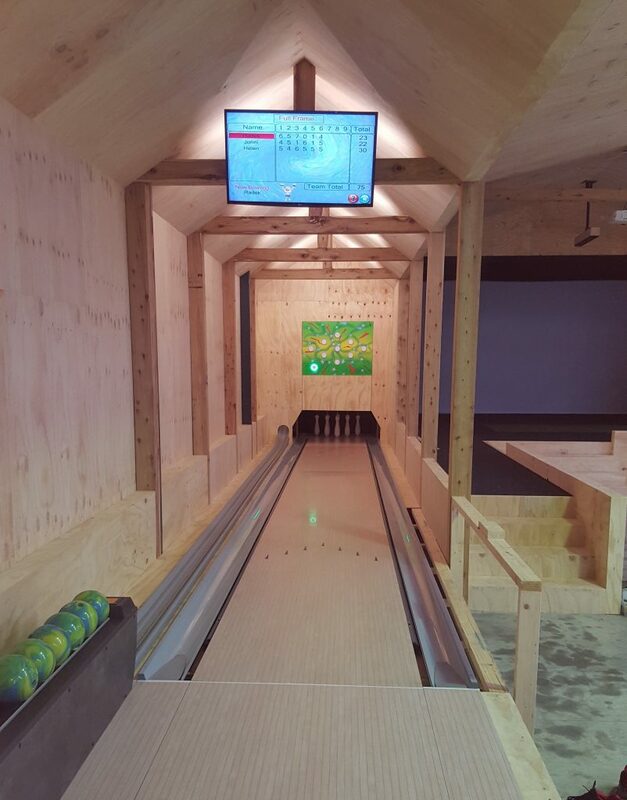 Length was an issue in this location and this is the reason why we offered to install a cut down version of Kegel 9-pin bowling to the owners. We shortened the lanes to 12 metres and the result was very pleasing. Automatic bumpers were also installed and our latest games software.